Viz debuts Julietta Suzuki’s Kamisama Kiss, about a girl who unwittingly becomes a local goddess. It happens. The series originally ran in Hakusensha’s Hana to Yume, which is a good sign, and Suzuki also created Karakuri Odette (Tokyopop), a well-liked series that will be the subject of the next Manga Moveable Feast, to be hosted at Manga Report. 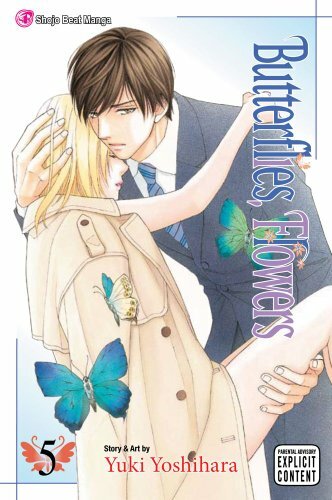 On the josei front, there’s the fifth volume of Yuki Yoshihara’s smutty, ridiculous, and endearing Butterflies, Flowers (Viz). In this volume, our completely insane protagonists go furniture shopping, which will surely devolve into madness. The series originally ran in Shogakukan’s Petit Comic. First up is Melinda (Manga Bookshelf) Beasi, who offers this excellent gift guide with many useful categories. And if I were to write a Best of 2010 list, it would look very much like Kate (The Manga Critic) Dacey’s, except mine wouldn’t be written as well. Still, book for book, I can’t find many points of disagreement. Maybe the order of a couple of items? This entry was posted on Tuesday, December 7th, 2010 at 9:52 am and is filed under Awards and lists, ComicList, GMGG, Linkblogging, Manga Moveable Feast, Viz. You can follow any responses to this entry through the RSS 2.0 feed. Both comments and pings are currently closed. Thanks for the plug, David! 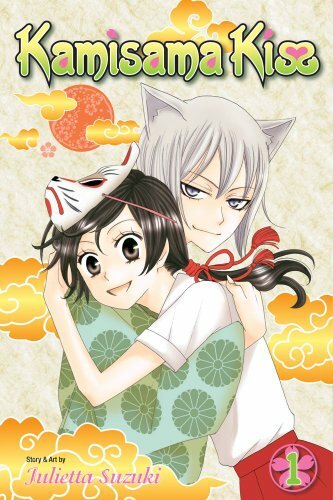 I have a copy of Kamisama Kiss just staring at me, which I really need to check out. I must admit that cat-ears do not immediately lure me into reading… anything. But, in the interest of informed participation in the next MMF, I feel a certain obligation.